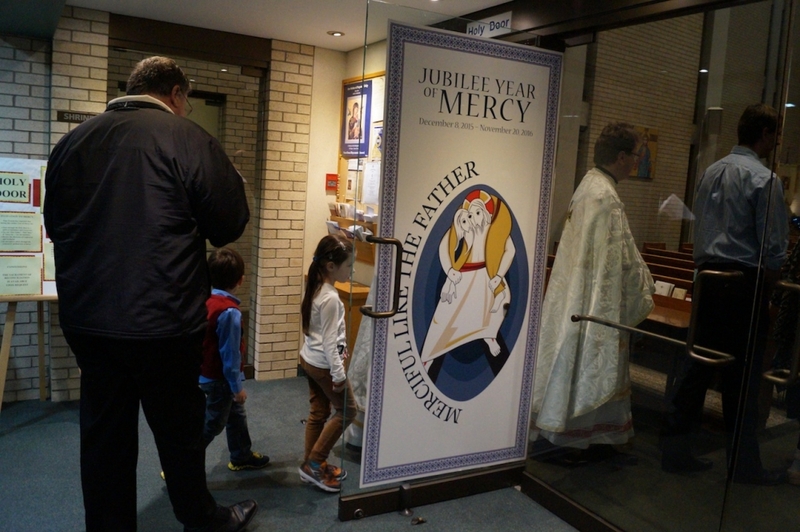 Holy Father Pope Francis declared a Jubilee Year of Mercy. In the past there have been many Jubilee Years – 26 ordinary Jubilees and three extraordinary – and for each something exceptional was done. In Rome, at St. Peter Basilica the Holy Father would open the Holy Doors (that would be bricked in ordinary time) and everyone who would walk through them would receive special gifts and graces of the Jubilee Year. This time around, Pope Francis desiring to make the gifts and graces this event offers as widely available as possible, he asked to open Holy Doors in every cathedral around the world, as well as in many particular churches and shrines. 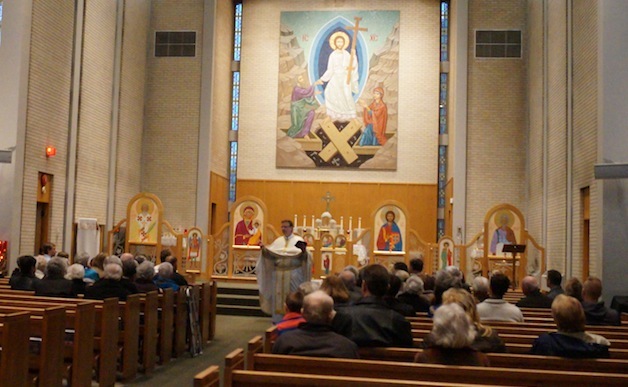 In our own Ukrainian Catholic Archeparchy of Winnipeg two churches were dedicated to this specific purpose, Sts. Volodymyr and Olga Cathedral and St. Joseph Church. 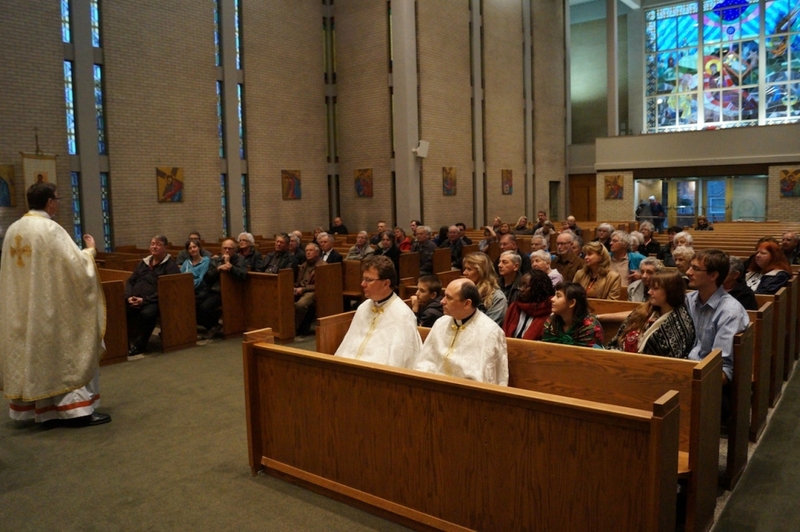 On October 29, 2016 parishioners of the Protection of the Blessed Virgin Mary Parish from Winnipeg and the Protection of the Blessed Virgin Mary Parish from Rossdale led by their pastors Fr. Volodymyr and Fr. Yaroslav, held their Pilgrimage to the Holy Doors at St. Joseph Church. Fr. 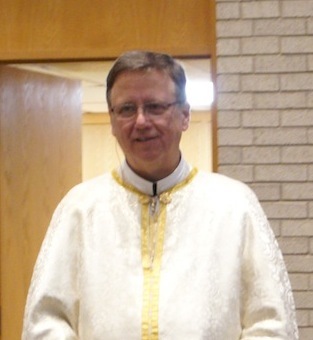 Dmytro Dnistrian, CSsR pastor of St. Joseph’s parish welcomed all of the pilgrims in the parish hall. The Pilgrimage program started with the presentation by Fr. Dmytro about the Mercy of God and the Jubilee Year. Right after the presentation all were invited to participate in the Divine Liturgy. 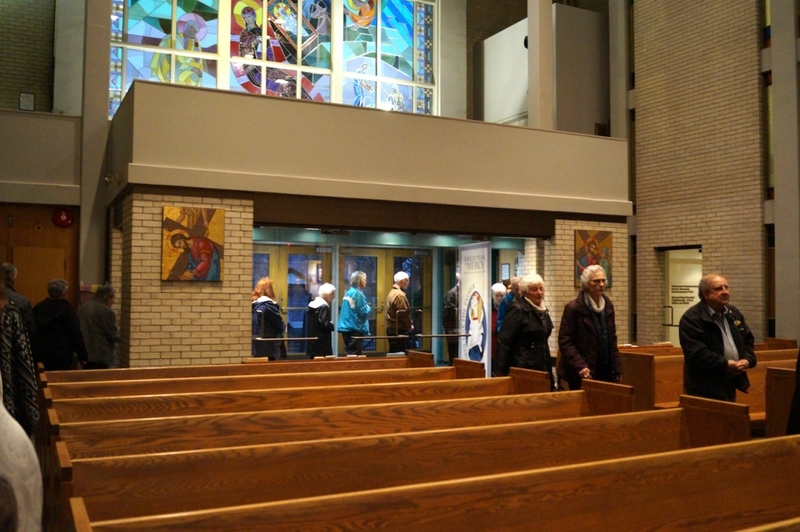 A number of clergy was available for confession during the Divine Liturgy and many faithful took this opportunity to restore the image of God in their hearts. Right after the Divine Liturgy, the pilgrims after saying a special prayer entered through the Holy Door. “On that day, the Holy Door will become a Door of Mercy through which anyone who enters will experience the love of God who consoles, pardons, and instills hope,” – Pope Francis. "I wish that the Graces of the Jubilee Year may reach each one as a genuine experience of God's mercy, which comes to meet each person in the Face of the Father who welcomes and forgives, forgetting completely the sins committed." 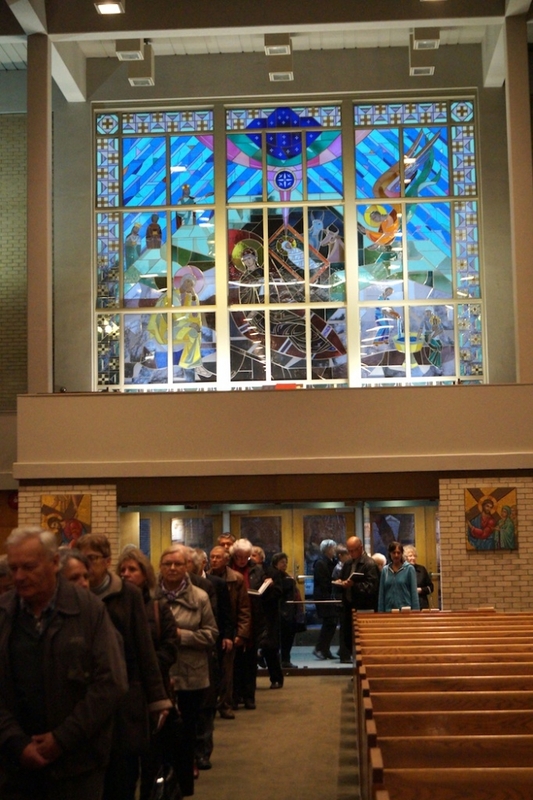 For many pilgrims this pilgrimage was a unique experience of the Year of Mercy. Many have said that it touched their hearts. It was really a very special day.